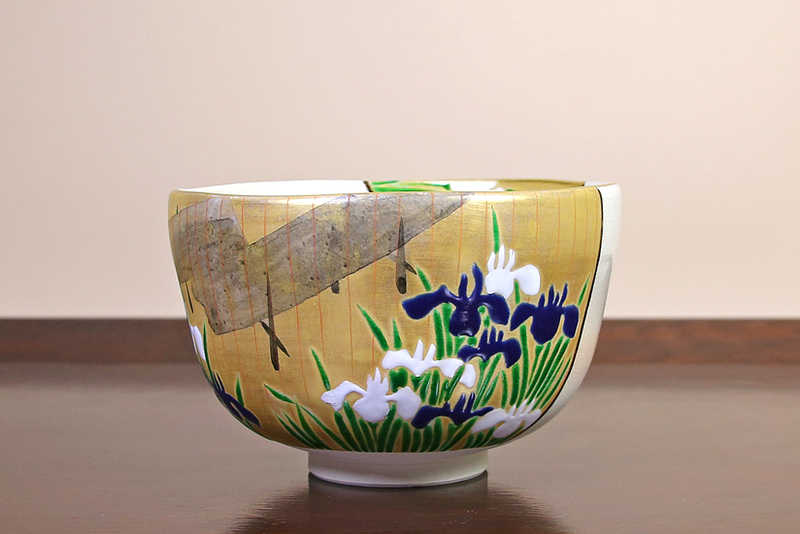 What can I say about this teabowl that the photograph does not convey? It’s lightness in the hand, it’s elegant presence, it’s quintessential spring-time image and it’s overall loveliness when it contains a portion of emerald green matcha. 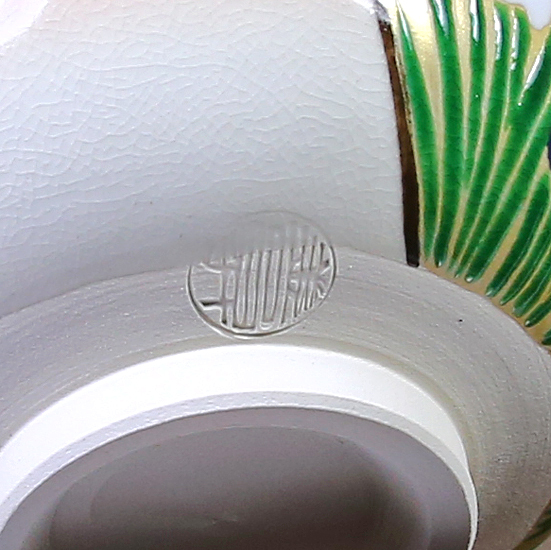 In Japan, tea masters and tea practitioners choose a tea bowl to use for a tea gathering based on one of many considerations: who the honored guest is; what season of the year it is; what message or feeling they want to convey for the occasion of the tea gathering; the arrival of a special seasonal matcha, etc. And of course, the tea bowl must ‘fit in’ appearance-wise and make sense with the rest of the utensils and vessels on the tea table. 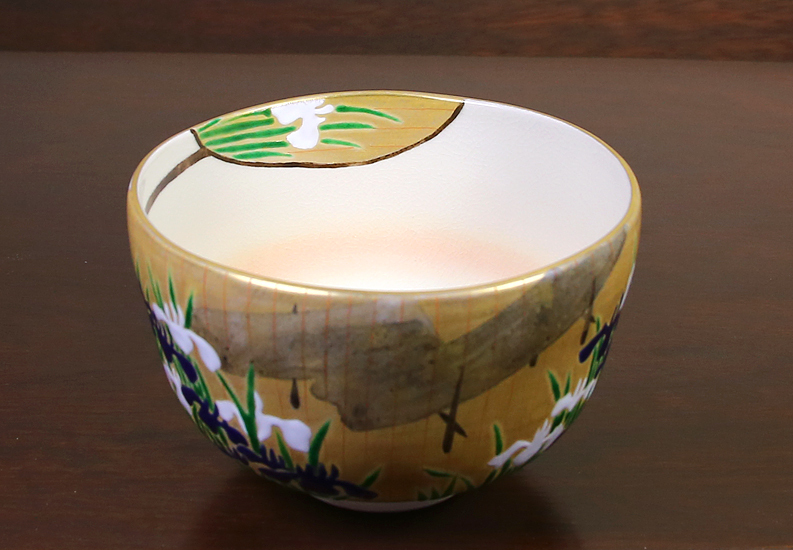 So for many who drink matcha in Japan, selecting a tea bowl is about more than mere aesthetics, although the image and it’s execution and the shape of the bowl must be well-rendered and appealing. On our spring visits to temples and gardens in Kyoto, Japan, it is iris, growing majestically along a water’s edge that seems to capture the hearts of others viewing the garden. 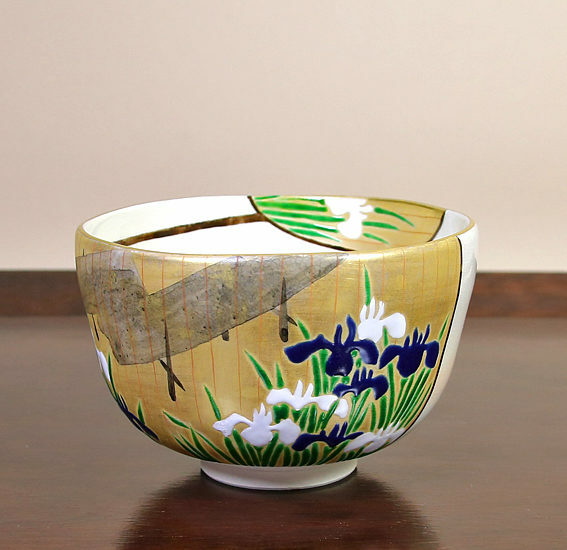 I think that potter Zensyo Yamaoka has created a very appealing tea bowl that conveys the essence of ‘spring’ tea bowl by featuring the fleeting beauty of a flower that is so beloved in Japan.